It's no great secret that digital connectivity has become incredibly important to occupiers. Just how important is now starting to become apparent as it takes its place alongside location and cost. 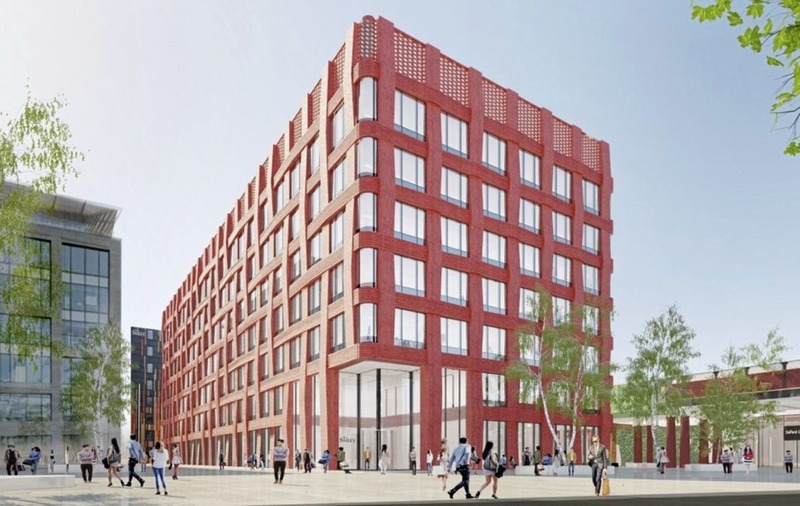 As works continue at Erskine House on Belfast's Chichester Street - HMRC's upcoming new home for its Belfast regional operation - the department has just completed its letting of 157,153 sq ft at the English Cities Fund's New Bailey development in greater Manchester. Key to HMRC's decision to take the space on a 25-year lease were its "easy-to-reach location, excellent transport links and the excellent digital infrastructure” required by HMRC. He went on to say “all the regional centres will provide our staff with the quality, digital working environments needed to deliver a better service to the taxpayer”. World class digital connectivity is no longer a requirement limited to companies specialising in technology. Every company is now a tech company and as HMRC is a perfect example, so are government and public-sector service providers. The public now demands the ability to interact online, by app or on the phone all day, and the days of posting your tax return will soon be one of the many things that comes to an end. So why is it so important, as HMRC's world becomes increasingly online orientated, that location and transport links rank so highly alongside cost and digital connectivity? It could be argued that far more cost-effective solutions could be found out of town, on bespoke locations, at a fraction of the land value. The answer is talent. The infrastructure required to deliver these services online 24/7, 365 is complex and is, in the main, located in city centres. In addition, organisations like HMRC have to attract the best people working at maximum efficiency using the fastest connections possible - and the best people don't want to be annexed to a lifeless compound on the outskirts of town. To compete with the private sector and incoming and indigenous tech, media and creative industries, the public sector needs to be at the game, and to be at the game they need to be located in the same arena. Government and the public sector know, just like business, that to compete in today's fast-moving, digitally-orientated environment, a highly-skilled workforce is needed to provide high-quality services. This is part of the reason that across HMRC's range of regional centres, in addition to location and digital connectivity, the organisation has paid particular attention to its buildings, supporting significant improvements in ways of working and collaboration. The trickle-down effect from the tech world is now being seen throughout the public and private sector and, for these folks, health and wellbeing has been moving up the agenda for quite some time as a tool to maximise efficiencies and productivity within their workforces. It also seems that the private and public sector are learning lessons from the success of collaborative working environments such as those provided by WeWork and Workspace. Combining all these factors to create the right working environment for your business or organisation in the right building, in the right place, with bullet proof digital connectivity is what every occupier is searching for - and HMRC seems to be leading the charge and bringing the public sector in line with the rest of the market.